Is Organic Food Really Safe? The Real Story! I will take you back to the early 20th century where the fundamental ideas of organic farming were born, through the present day. The majority of Organic Food Advocates I have spoken to eat organic foods because they feel organic foods are safer. A couple of common statements by advocates are: "I don&apos;t like chemicals in my foods" and "all natural has to be safer than artificial". Both of these assumptions are erroneous. Organic foods can contain chemicals and all natural is not necessarily safer. Aectaldehyde, benzaldehyde, benzene, benzo (a) pyrene, benzofuran, caffeic acid, catechol, 1,2,5,6-dibenz (a) anthracene, ethylbenzene, formaldehyde, furan, furfural, hydroquinone, d-limonene, 4-methylcatechol, styrene, toluene. 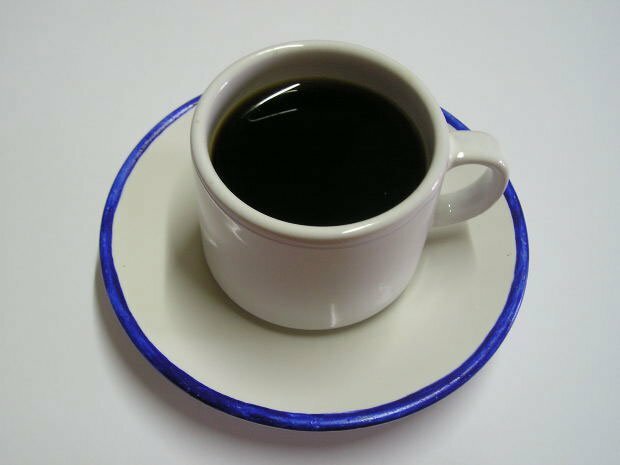 "A Certified Organic Cup Of Coffee Could Contain Up To 20 Different Carcinogenic And DNA Damaging Chemicals." In the early 19th century all living organisms were referred to as organic while non-living substances were referred to as minerals or inorganic.13 As time passed it was demonstrated that all material substances contain the same chemical elements. Today the word organic is used to define all complex carbon based molecules. According to the scientific definition of organic, the truth is all foods are organic. Rudolf Joseph Lorenz Steiner (25 or 27 February 1861 - 30 March 1925) was an Austrian philosopher, social thinker, architect and esotericist. He gained initial recognition as a literary critic and cultural philosopher. At the beginning of the twentieth century, he founded a new spiritual movement, Anthroposophy, as an esoteric philosophy growing out of European transcendentalism and with links to Theosophy. Steiner advocated a form of ethical individualism, to which he later brought a more explicitly spiritual component. He based his epistemology on Johann Wolfgang Goethe&apos;s world view, in which "Thinking...is no more and no less an organ of perception than the eye or ear. Just as the eye perceives colours and the ear sounds, so thinking perceives ideas." A consistent thread that runs from his earliest philosophical phase through his later spiritual orientation is the goal of demonstrating that there are no essential limits to human knowledge. Steiner&apos;s spiritual interests drew him to a religious movement called theosophy. Theosophy combined aspects of Christianity, astrology, and Hinduism. He wasn&apos;t impressed with the fact that theosophists depended on faith to justify their beliefs. He thought pure reason could explain the universe without reliance on faith.3 In 1912 Steiner created his own philosophy or "spiritual science" as he referred to it called anthroposophy. In Challenging Nature (2006) L Silver describes some of Steiner&apos;s beliefs. L Silver wrote: "Steiner claimed that by looking deep inside himself, he could &apos;see&apos; a detailed past history of cosmology in which humanity evolved from primitive beings living on the surfaces of the sun, Mars, Saturn, and Jupiter (he meant this literally, not metaphorically). The latest incarnation of humanity somehow made its way to earth, where it had once lived in communication with its own spirits as well as those of Mother Nature in an Edenic setting that he called Aquarius. But people became addicted to material artifacts, consumer goods, and private property. As a result, they forgot how to contact the spiritual world. Materialism and capitalism led to the fall of Aquarius (equivalent to the biblical banishment from Eden) and the present state of human distress. Nevertheless, there is hope for a future age of Aquarius (like the second coming of Christ) when everyone heeds Steiner&apos;s call to forsake the material and artificial and rediscover the spiritual." 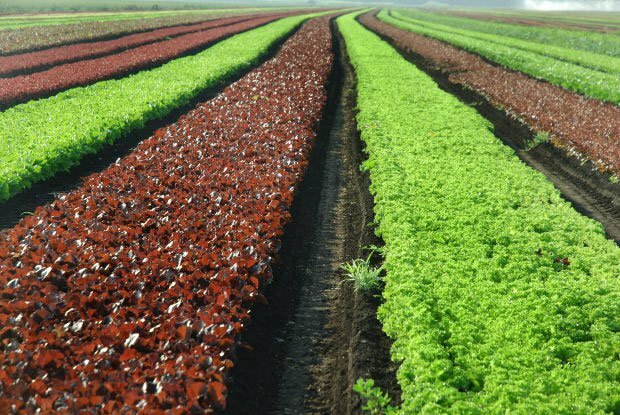 According to Rodale and many modern day organic farmers the primary difference between organic and nonorganic food is the process in which the foods are produced, organic food is derived from natural processes whereas nonorganic comes from unnatural processes. This line of thinking demonstrates a common misperception, which is natural is always better. Would you be surprised if I told you the world&apos;s most dangerous toxins are all natural? "Most Consumers Assume Organic Foods Are Grown Without Chemical Pesticides, However This Is Not True." 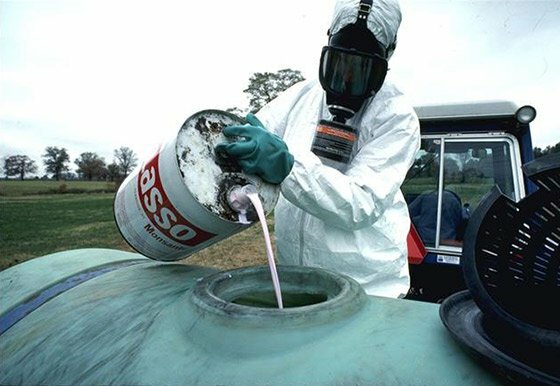 Other pesticides used in organic farming include hypochlorite, sodium hypochlorite, copper sulfate, boric acid, lime sulfur, elemental sulfur, and oils.1 Organic foods have been shown to have fewer pesticide residues than conventional foods. But do the higher levels found in conventional foods have a negative impact on human health? Kajiya (2006) suggested a possible relationship between parasite infection and organic food. Hookworm in an 87-year old Japanese man who had a 30-year history of eating organic foods caused heart failure. In general, footwear and proper sanitation are important for control of hookworm because the parasite is usually transmitted through contact with contaminated soil. The highest rates of hookworm infection occur in the World&apos;s coastal regions and are often associated with poverty stricken areas. This review illustrates that tradeoffs exist between organic and conventional food production. Organic fruits and vegetables rely upon far few pesticides than do conventional fruits and vegetables, which result in fewer pesticide residues, but may also stimulate the production of naturally occurring toxins if organic crops are subject to increased pest pressures from insects, weeds, or plant diseases. A review conducted in July 200914 investigated differences in the nutrient contents between conventional and organic foods. Eleven crop nutrient categories were analyzed. The researchers identified that out of 162 studies, only 55 were of satisfactory quality. Only the satisfactory quality studies were analyzed. Conventionally produced crops had a significantly higher content of nitrogen, and organically produced crops had a significantly higher content of phosphorus and titratable acidity. There was no difference between the two for the remaining 8 of 11 crop nutrient categories analyzed. Analysis on livestock products indicated no difference in nutrient content between organically and conventionally produced livestock products. After reviewing studies of satisfactory quality, the researchers concluded that there is no evidence of a difference in nutrient quality between organic and conventional foods. "Researchers Found There Is No Difference In Nutrient Quality Between Organic And Conventional Foods." Winter CK, Davis SF. Organic Foods. Journal of Food Science Vol. 71, Nr.9, 2006. Whole Foods Market. Whole Foods Market Organic Trend Tracker. Austin, Tex Whole Foods Market 2005. Silver LM. Challenging Nature. Harper Collins 2006. Gold LS, Slone TH, Stern BR, Manley NB, Ames BN. Rodent Carcinogens: Setting Priorities. Science 258, 261-265, 1992. Silver LM. The Environments Best Friend GM or Organic? Update Magazine May / June 2006. Betarbet R, et. al. Chronic Systemic Pesticide Exposure Reproduces Features of Parkinson Disease. Nature Neuroscience 3, 1301-1306 2000. Sitting M. Handbook of Toxic and Hazardous Chemicals and Carcinogens. 3rd ed. Vol.2 New Jersey: Noyes Publications 1991. Magkos F, et. al. Organic Food: buying more safety or just piece of mind? A critical review of the literature. Crit Rev Food Sci Nutr 46 (1): 23-56 2006. Kajiya T, et.al. Heart failure caused by hookworm infection possibly associated with organic food consumption: Intern Med 45 (13): 827-9 2006. Hale J. Knowledge and Nonsense: The Science of Nutrition and Exercise. MaxCondition Publishing 2007. Rezende L. Chronology of Science. Checkmark Books 2006. Dangour AD, et. al. Nutritional Quality of Organic Foods: A Systematic Review. AM J Clin Nutr 2009. Jamie has studied various martial arts including Brazilian Jiu-Jitsu, Seishin-Kai, and Thai Boxing.